Ageing skin is the characteristic change that occurs in skin as we age. How fast we age and how we look compared to our peers depends on a combination of genetic factors and environmental factors. 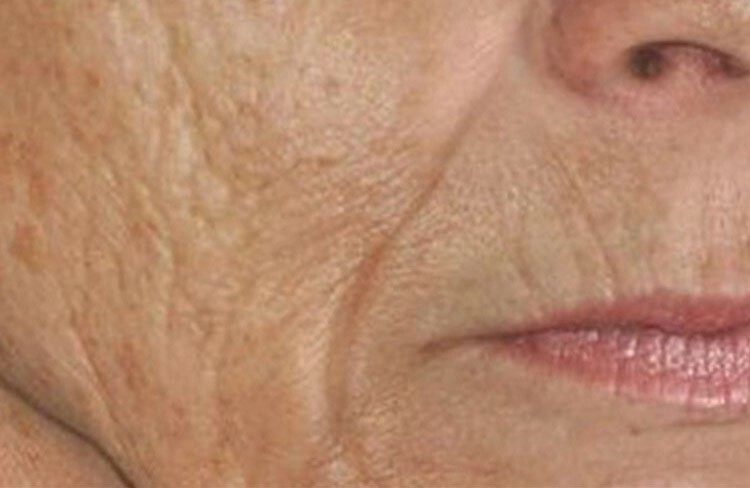 What are the features of ageing skin? As we age, skin becomes thin and less elastic due to loss of collagen and elastin. Pigmentation also becomes uneven, due to areas of over-pigmentation and under-pigmentation. Skin becomes drier and less resistant to stress. We also lose volume in our faces, in both the skin and facial fat; this leads to drooping, sagging skin and the formation of wrinkles, folds and jowls. What are the intrinsic or genetic causes of ageing skin? The intrinsic ageing of skin is inevitable and it is genetically predetermined from our family history and ethnic background. Our skin cells are constantly being replenished, with old ones dying and shedding off while new ones take over. As we age, this cell turnover slows down, which affects the immune function of skin and its structure. This causes the skin to flatten and lose volume, it loses strength and can tear and bruise more easily. As the skin thins, the water content reduces so skin becomes drier. The natural oil, called sebum, that is produced by glands in the skin also reduces which adds to the dryness. The blood supply to the skin reduces and we also lose important proteins in the skin such as hyaluronic acid; this all increases volume loss and exacerbates the appearance of ageing skin. What are the extrinsic or environmental causes of ageing skin? This is the damage caused by UVA and UVB radiation from the sun. UVB is higher energy, shorter wavelength radiation that has the ability to change DNA and other components on the surface of the skin (the epidermis). UVB is responsible for the majority of skin cancers. UVA is longer wavelength radiation that is lower energy than UVB but is 100 times more common than UVB. It penetrates deep into the dermis of the skin and damages collagen, elastin and blood vessels. Smoking damages skin in a number of ways. Nicotine reduces blood flow to the skin and so reduces the flow of oxygen and nutrients to the skin. Other chemicals in tobacco smoke damage collagen and elastin while the excess facial muscle movement associated with smoking leads to the formation of excess fine lines and wrinkles. Problems with the immune system affects the function and appearance of the skin. This can be caused by autoimmune diseases that affect the skin such as lupus and eczema, medications or other agents that affect the skin, and chronic stress. Menopause in women leads to a reduction of oestrogen which leads to increased features of ageing in the skin. How can ageing skin be prevented? Intrinsic or genetically predetermined skin ageing is inevitable; unfortunately we cannot slow down what our genes are destined to do. What we can do, however, is prevent or slow down the extrinsic or environmental causes of ageing skin. The two most important things we can do is stop smoking and reduce our exposure to harmful UV radiation in sunlight by using a daily SPF50 moisturiser. 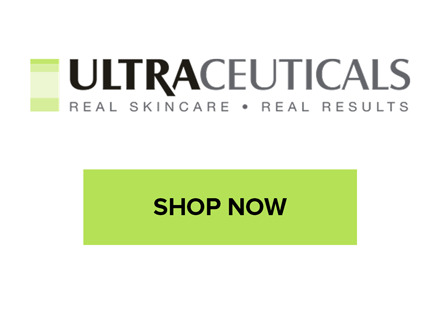 We recommend the Ultraceuticals range of skincare that is Australian made, cruelty free and backed by extensive research and development. Women around menopausal age can benefit from hormone replacement therapy (HRT). This has been shown to improve skin quality with reduction in wrinkles, skin becomes less dry and it heals faster. Regular exercise is important, as is drinking plenty of water and eating fresh fruit and vegetables daily to ensure an adequate intake of vitamins, minerals and anti-oxidants which are essential for skin health. How can ageing skin be treated? First and foremost, if you are a smoker, quitting is essential. Any other treatment you have will be much less effective if you continue to smoke. Dry, lacklustre, faded and red skin can be treated using an excellent cosmeceutical skincare range. At Rewind Skin & Laser, we recommend the Ultraceuticals range of products. Ultraceuticals have a large range with specific products for specific conditions and problems. Their products contain active ingredients such as Vitamin A, Vitamin C, Retinol, Alpha and Beta-hydroxy acids and active botanicals that have been researched and been proven to improve skin quality and the signs of ageing. Dermal fillers such as hyaluronic acid (a natural carbohydrate gel) replace the volume that has been lost through ageing. This can improve the appearance of hollows and volumise and lift areas to provide a more youthful appearance. They can also be used to soften fine and deep lines and are often used in combination with other treatments such a anti-wrinkle injections, laser, IPL, thread-lifting and peels. Most hyaluronic acid fillers will last 12-18 months. Anti-wrinkle injections using Botulinum toxin is an excellent treatment for dynamic lines and wrinkles and some static lines. These wrinkle relaxers act on the muscles that cause lines and wrinkles, softening or removing the lines and making the skin look more youthful. Common areas to treat are the forehead, frown lines, and crows feet around the eyes. More advanced technique include using wrinkle relaxers around the mouth to treat a sad looking, downturned mouth or injections into the platysma muscle of the neck to treat so called “turkey neck” and creat a neck lift. Anti-wrinkle injections are often used in conjunction with other treatments such as dermal fillers, laser, IPL, thread-lifting and topical treatments such as enzyme or chemical peels. Intense pulsed light is a fantastic treatment for ageing skin. It uses a variety of wavelengths of light to treat pigmentation, visible blood vessels and improve fine lines and wrinkles. At Rewind Skin & Laser we use the medical-grade, American-made Cynosure Icon IPL machine. At Rewind Skin & Laser, we have invested in only the best…the Picosure laser made by Cynosure. This laser has the patented Focus lens which offers full face treatments with minimal downtime meaning that you can get back to your daily life in no time. Dr Eoin McDonnell is fully trained and experienced in performing Silhouette Soft thread lifting, a minimally invasive procedure that involves the insertion of multiple absorbable threads into the face. This provides an instant lift to the facial tissues while also stimulating the production of collagen and elastin and volumising the face over time. Collagen induction therapy or microneedling is performed by our dermal therapists and is done using a microneedling machine. This induces the production of collagen in the skin, improving the appearance and tone of the skin, reducing fine lines and wrinkles and improving the appearance of scars and acne scars. Facial peels work by removing the surface layer of skin, decongesting pores and rejuvenating the skin resulting in a smoother, more youthful appearance. They can be done in combination with other treatments or as a standalone procedure. Peels contain a variety of active ingredients such as lactic acid, mandelic acids, fruit enzymes such as Bromelain, Retinol, AHA’s and BHA’s and Clove oil among other things.